The pet-owning population is becoming more and more educated on the facts about dog behavior, but there are still a number of dog behavior myths that persist. And those myths aren’t just annoying for trainers like me — they can also be detrimental to your relationship with your dog! When it comes to training your dog (or even just living with her), these are six common dog behavior myths you shouldn’t believe for even a moment. Myth No. 1: An old dog can’t learn new tricks. False! Senior dogs can actually thrive when trained. This is true for trick training and also for house-training older dogs who have no prior house-training experience. If a dog is mentally and physically capable of learning a behavior — and proper motivation is offered — there’s very little reason for age to be a factor. Untrue! You can’t blame a dog for wanting a comfy place to snuggle up — and that place is even more attractive to your pup when it happens to be right next to you. Now, there are rare cases when a dog will guard her sleeping or resting area and show aggression when humans approach, but in the vast majority of cases, this is really not a problem, behaviorally speaking. Myth No. 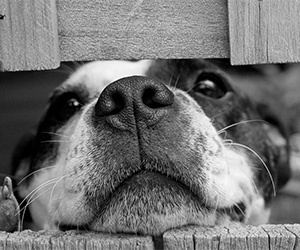 3: You can put a stop to potty accidents by rubbing your dog’s nose in the mess. Nope. It’s unlikely that she’ll make the connection between the nose rubbing and her accident, and it will not teach her not to do it again. What it will teach her, however, is that humans are scary and dangerous, and she may start sneaking into other rooms when she potties indoors — which only makes house training more difficult. Not the case, but with a caveat. It is true that you should never put yourself in the middle of a dog fight in order to keep yourself safe, but there are tactics you can use to try to separate fighting dogs, such as using water, a really loud noise, or a distraction like a treat bag or your voice. It’s also important to note that owners are responsible for doing what they can to prevent future fights, especially with dogs living in the same home. Invalid! Dogs do need motivation to perform a behavior (and you really can’t blame them, can you? ), but treats aren’t the only motivation around. Think of other things your dog loves, like petting, toys, playing and going outside. It’s a good idea to mix up the rewards as you do your training, but starting off with a focus on treats is a good way to work with food-motivated pups. Not the case. Regular off-leash play in a safe, fenced in area is often important for a dog’s well-being, but many dogs can be perfectly happy on a leash, too. And it’s important you keep her on leash in public so that she stays safe!